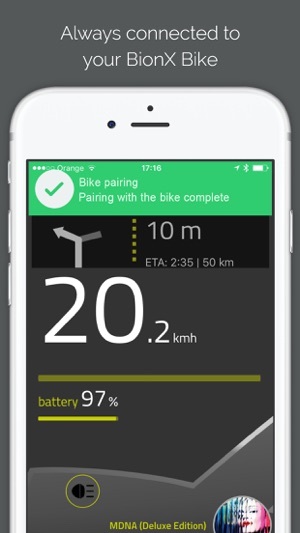 The BionX App gives you an enhanced bike riding experience by utilizing your Smartphone as the interface to your BionX e-bike system via Bluetooth® connectivity. 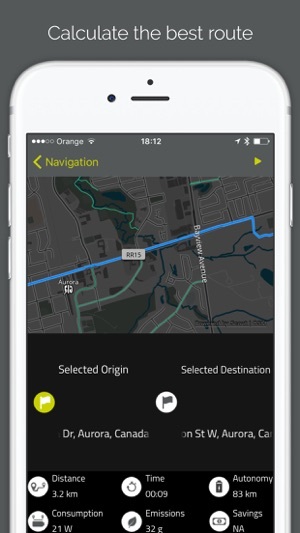 Use the BionX App to view information about the BionX system, plan and record routes using the navigation features, have access to maps and statistics, and more! Connect to your ride in a whole new way! Have full control of your BionX system and the BionX App with the new BionX RC3 Controller right within thumbs’ reach. Change the active screen in the monitor, receive voice feedback, and much more! The BionX App provides more feedback than ever! 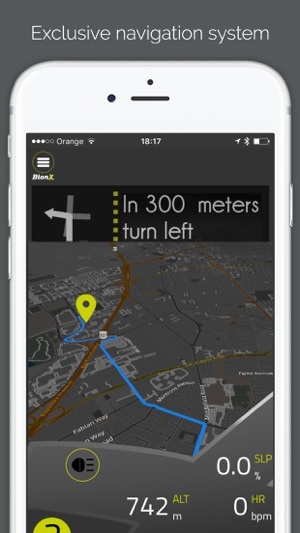 The BionX App Monitor will display live information about your position on the map, as well as speed, location, weather forecast, music, alerts, etc... for the most immersive BionX experience possible. Get step by step navigation, map and address searches, and audible directions without using your precious data! An absolute must for any adventurous BionX rider. 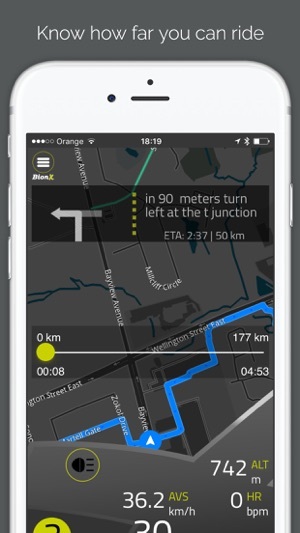 The smart route planner will indicate how much battery is remaining for a potential route, as well as the time and distance covered, and the distance and time that you may achieve with the remaining battery life. Access unique advanced cyclecomputer functions such as instant speed, average speed, time and distance, temperature, slope, altitude, motor power, remaining battery, heart rate, as well as a number of helpful alerts to increase your awareness on any expedition. 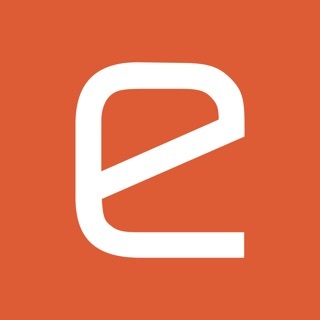 View extended information about the recorded activities directly on the App or through a web browser. Intricate charts will show you the power consumed during each part of the trip, speed, motor rpm, assist level used, altitude, wind, humidity, temperature, and even heart rate information with a compatible heart rate monitor. Use this information to help you reach your goals and track your progress! Use your personal computer, tablet or smartphone to access your BionX profile and activity log through any web browser. 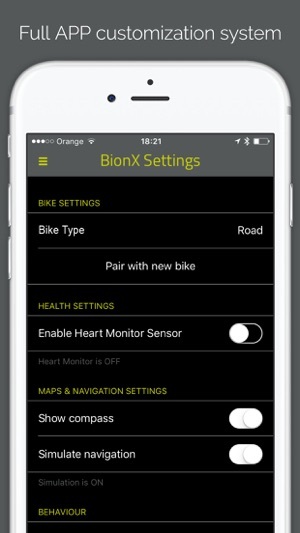 Your BionX powered bicycle must have an RC3 controller, and a BionX Bluetooth module or a Bluetooth enabled BionX battery. A complete library of helpful videos to support you with the BionX App. Review step by step instructions for all of the App features, and find instructions on how to reach out to our friendly technical support team. Activity (ride) starts immediately after pairing with the Bluetooth module. Must stop activity (error message appears as no real data has been recorded) so one can start ride when they really want to start ride. The Stop and Pause buttons are under the menu drop down. Not very convenient. You can pause the activity (no auto-pause like Strava) in which case the Stop and Pause buttons are replaced with a resume button. In pressing the resume button the Stop and Pause buttons do not reappear, the resume button persists, making it impossible to stop and record the ride or pause the ride again. You are allowed 3 map downloads. I wanted Canada and North America. It downloaded Canada with all it's provinces, but it appears that I must download each US state separately. App does not sync the Apple's Health app. 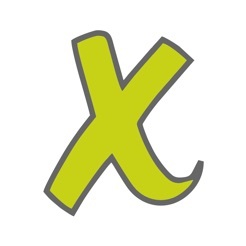 Activities are uploaded to the Bionx app web portal (IP address URL, not very professional). The app seems to display the average speed correctly, but when the data is uploaded the average speed more than doubles. The outside temperature is also recorded and uploaded, but temperature increases 100 fold, 88 degrees Fahrenheit is now over 800. I do not know if other data points are inaccurate as well. I have reached out to Bionx. No response other than the information has been passed to the programmers. Until Bionx fixes these issues, the Bluetooth module is a pointless purchase. Rely on the Bionx DS3 console and your favorite cycling app. Max and min temps are always the same number. RPM is always 1 BILLION something, yes billion... comparing rides is clunky as you have to go back to activities then select another ride. I hate that it doesn't sync to Apple Health app. It was raining during my ride yet it showed 60% humidity. Come on folks. Get with the program. Version history notes database change and major work done for the January release and not another release since?? I don't think so. It's been 9 months and there are clearly major problems with this app.